BBC's popular old TV series "Are you Being Served?" lost its Mrs. Betty Slocombe yesterday. 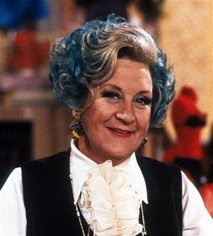 Mollie Sugden passed away at age 86 after a long illness. Condolences to her family and friends.